A new Pampers GTG code worth five points has been released!! 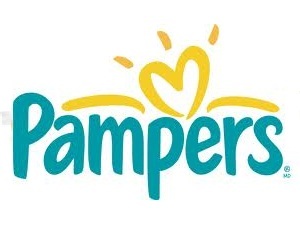 Enter:TWITWB28XEGVE13 at Pampers Canada before February 9th. Love how sweet my husband and son’s hands look in this picture I took. 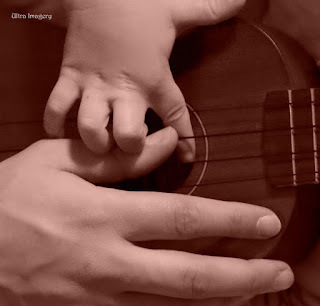 There is something so beautiful about a parent and child’s hands together. Once upon a time, in a kingdom five feet away from dragons and trolls, a knight was on a mission. He was looking for their king in an evil tower. They saw him in a dungeon. Some trolls attacked them and an important knight was captured by a witch. They killed her with their arrows and stole her magic wand, spell book and her potions. They brought their whole army to get the knight and to banish all the trolls so that they can live in peace. They rescued the knight and won the battle. After they banished all the trolls, they lived in peace. I thought I had it all figured out before I had children – I was set in my ways and confident in my future parent skills and how I was going to raise our children. Was I wrong! 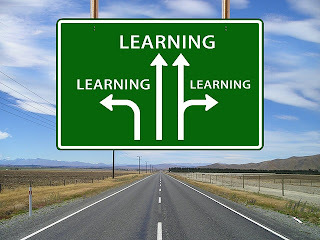 My children have taught me some of the greatest lessons in life and I wanted to share them with you! When everything seems to be caving in, you’re stressed out and your children do something that they should not have been doing – just laugh! It will make you feel that much better. You can not control everything in life and there is no point in constantly stressing on each item that is not quite the way you want it to be. So the next time you find yourself stuck outside of your home because of a broken lock on the front door in -20C weather, after sledding for an hour (so you’re soaking wet! ), with no phone nor money – LAUGH! (this happened to us recently and the only way to get through this insane moment was to just laugh and joke about it – after we walked to our local Tim’s and called for a Locksmith of course!). See the humour in every bad situation and turn it around. This will allow you to focus and fix the problem at hand. Before I had children, I was one of those individuals who could hold onto a grudge and just not let go. Now I see how hard I was making things for myself. The only person it was affecting was me! Now I have learned to let it go and I truly am happy. Let others deal with their own actions. Let go of the burden of carrying a grudge, anger and resentment. In the end all that matters is you, your goals, your family and spouse. 3) Kisses and Hugs Really Do Make It Better! There is nothing better in the world than a kiss and hug from my children. Seriously. I actually will get them to give me a kiss and rub my forehead when I have a migraine bubbling up because it makes me feel that much better. There is nothing more sweet, innocent and encompassing than a kiss and hug from your child. Enjoy those precious moments! Embrace every cuddle on the couch and reserve even half an hour for cuddle time daily. They grow far too quickly and each one of these moments is special. My children have taught their super organized and have to have everything planned down to the second mother that no matter how much I plan something can and will go wrong. It used to upset me and I would worry about whether they would be disappointed and the ripple affect that these changes would make. I learned that my children were happy no matter what happens and to be honest that is all that matters to me. Let the small things slide, sit back and enjoy each moment at a birthday or special celebration. You can never get those moments back. I have always respected and appreciated everything that my parents have done for me. But it was not until I had my own children that I truly realized just how much they did for us when we were children. All the long hours at work, coming home to make us dinner, hours up at night with sick children, the hours rocking us to sleep and the list goes on and on! And my parents did that three times and with all three of us being so close in age. Everything they have done for us as children astonishes me and I have a world of love, gratitude and respect for my parents. What are some of the lessons that your children have taught you? iPad Mini, Amazon gift cards ($200, $100, $50, $25, $10) and more! Sounds great right? 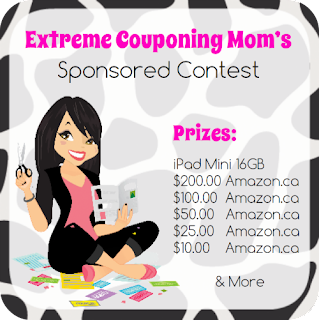 Then get ready to enter over at #ExtremeCouponingMom! iPad Mini and More Giveaway! Thank you so much to Extreme Couponing Mom for putting together such a great giveaway and all of the other sponsors! The giveaway runs from February 1st to April 1st, 2013 (at 12:00am EST).